Il cartello » International » Ushuaia: Is It Really the End of the World? Trip to the Southernmost Extremity of the world. Ushuaia is a place of many wonders. Located in the Tierra del Fuego (Land of Fire) region of Argentina, it is surrounded by snow-capped mountains, the famed Beagle Channel, and desolate wilderness. But what is it about this town that attracts so many visitors every year? Its superlatives of “southernmost city in the world” and “end of the world” pique the interests of curious travellers. When I visited the town, I was struck by the tragic beauty of this isolation. About 3,068 kilometres from Buenos Aires, it’s not hard to imagine how melancholic it can get living here year-round, but it’s the staggering beauty of the region that makes up for it. In December it was summer in Argentina, but it was still cold enough for the slopes to be open and the necessity of a warm coat. 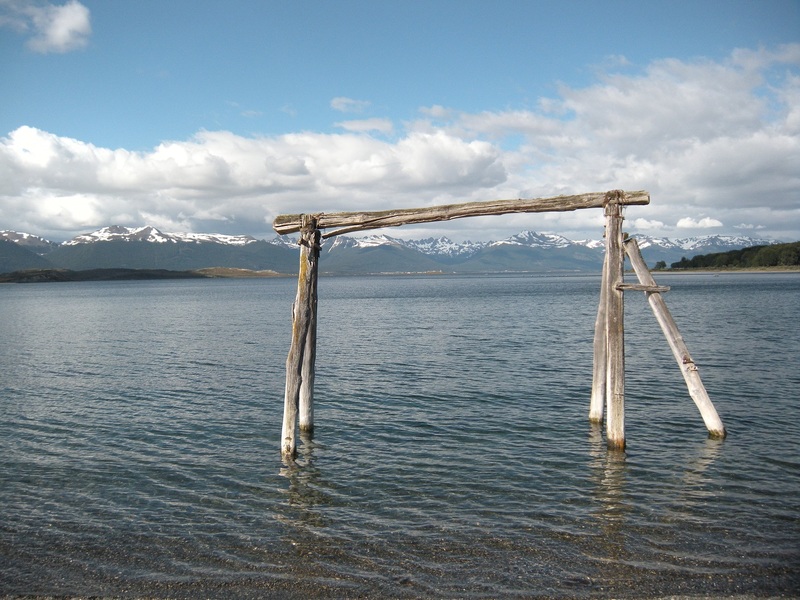 For a very long time, Tierra del Fuego remained a land shrouded in mystery, due to the meager amount of individuals that ventured to this southern region. But does Ushuaia really exude the feeling of being at the end of the world? Inhabited by two indigenous tribes – the Onas and Yamanes – for over 6,000 years, the region’s tranquility was disturbed by the arrival of European settlers in the 16th century. Well-known explorer Ferdinand Magellan, the first European explorer to visit these lands, could see smoke coming from fires that indigenous peoples were kindling from his ship, believing that they were waiting to attack his armada, thus baptizing the region “Land of Smoke,” later changed to “Land of Fire”. Upon first hearing the name of this region, I thought that the archipelago would be scorched by fires, so imagine my surprise when the land turned out to be lush, verdant, and very humid. The Europeans disturbed the hunter-gatherer lifestyle of the tribes, especially with the discovery of gold. Over the years, unfortunately, the indigenous population dwindled, with no direct descendants left today. It’s interesting to note how settlers are often glorified whereas the indigenous population is forgotten in the past. I arrived to Ushuaia by plane, not daring the journey by car from Buenos Aires. When the pilot announced our arrival and I looked out the window, all I could see were sweeping mountains and expanses of water. “Where is Ushuaia?”, I thought, but eventually the airstrip came into view, built like a jetty. 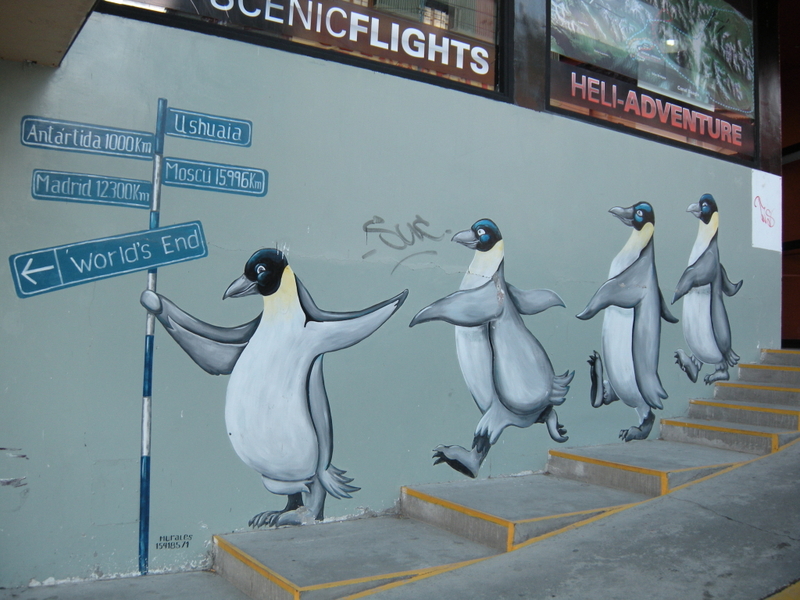 Once in the town centre, I noticed that, unlike its European counterparts, there was no defined town centre, instead just several central streets with restaurants, souvenir shops, and travel agencies for cruises to Antarctica. This struck me as uncanny, because it seemed like Ushuaia would be the ultimate destination, not just a place of passage. An interesting feature of the town is its port, which overlooks the Beagle Channel (and is rather small, actually). 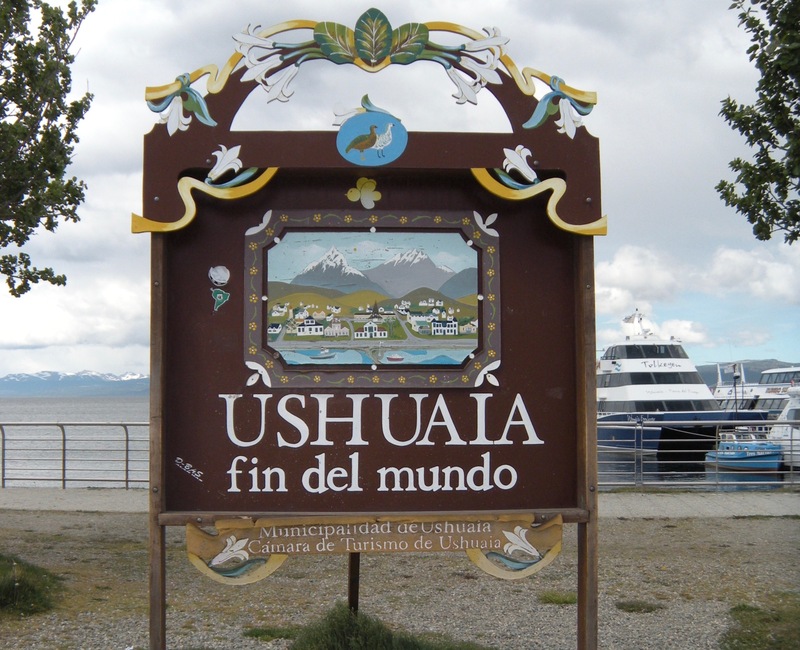 Right in front of it stands a signpost depicting Ushuaia as the fin del mundo – the end of the world. Perhaps the most important – at least historically – landmark located in the town itself is its old prison, the penal de Ushuaia. In the 20th century, when Chile and Argentina were battling for control over Tierra del Fuego, Argentina knew that it had to establish a colony in order to claim control over the land. So, in 1885 the government decided to establish a penal colony for the country’s most dangerous convicts. Knowing that they had nowhere to escape to (now you see the town’s tragic beauty! ), prisoners were put to work – helping out with the construction of the town itself and doing time in workshops to provide for the basic needs of the town dwellers and themselves. In 1947, the prison closed down, but it was open to the public when I visited. The penitentiary’s residents were evidently hard workers and left their mark, whether it be in the prison itself, the graffiti of guards throughout the streets, or the work that they did. Anyone who visits Ushuaia knows that they have to venture out of the town to truly appreciate Tierra del Fuego, so that’s what I did. Leaving town, I noticed many derelict buildings and automobiles covered in graffiti. What was shocking was not the state they were in, but where they were: overlooking the magnificent Beagle Channel from above. With stunning sunset views, the magic that permeates from this isolated territory is most evident. 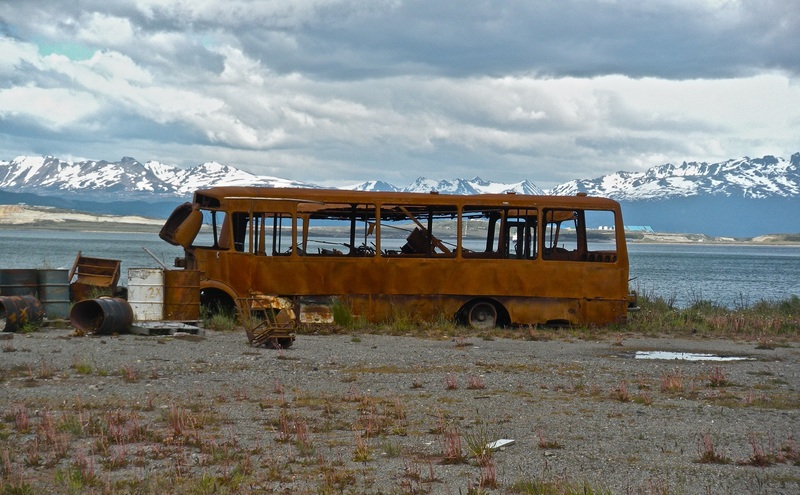 Everywhere I looked seemed to come out of a picture book…But there’s a sense of foreboding to Ushuaia, one that stems from these abandoned, dilapidated buildings outside of town and the shipwrecked vessels anchored on dry land throughout the channel. Viewing this struggle of man against nature portrays the land’s power of isolation. Going to the Tierra del Fuego National Park was on my list, so I hiked through some of the park’s trails around Ensenada Bay, the views comprising of lush green forests and great lakes. Eventually attaining the bay, I encountered an intriguing – and unexpected – landmark: the southernmost post office in the world. Placed on a pontoon, this post office was in a tiny hut, numerous flags flapping in the wind above it. Standing at the end of the pier, it’s easy to see why travellers hail to this region for its stunning and picturesque scenery. There’s one thing to mention about Patagonia – comprised of vast and immeasurable spaces, wildlife pervades throughout the region, including the native species called guanacos. 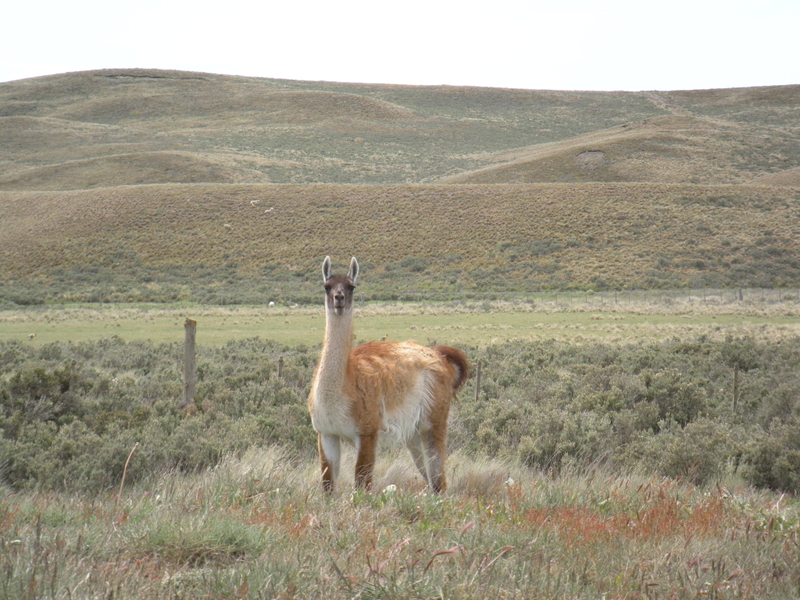 Roaming the deserted lands and resembling llamas, these animals were quite comical to look at, curiously staring at the moving vehicle as we rode towards the estancia. Arriving at the estancia, I was surprised to find that it looked so…European: white wooden abodes covered the main property. Embarking on a 15-minute boat ride to the Yécapasela Penguin Island, the gales were strong and we could see the penguins flailing on the beach. 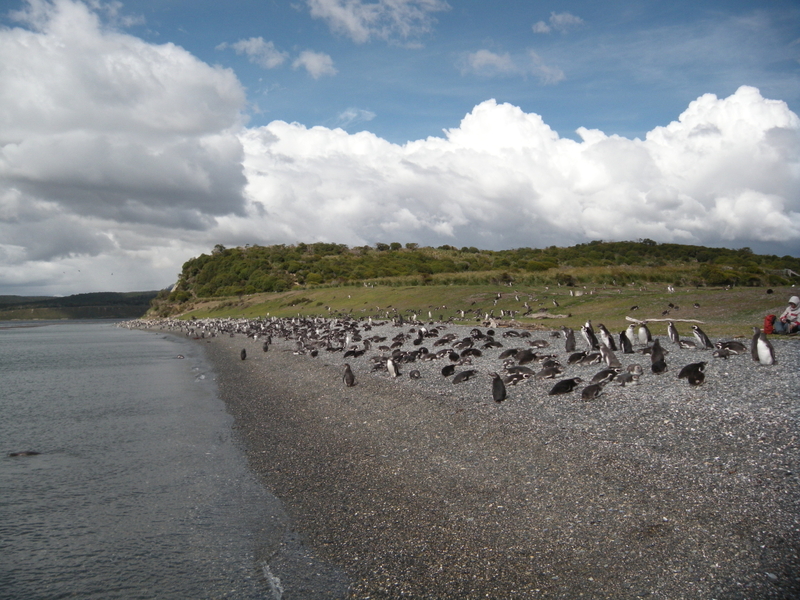 Stepping onto the island, I was mystified by the amount of penguins (about 6,000 Magellanic penguins). My initial thought was, “It’s so nice to see penguins in their natural habitat instead of seeing them locked up in a cage at the zoo,” but then I realized that these penguins were not afraid of humans, they had adapted to include these visitors to their lifestyle. We followed a certified guide around small trails, stumbling upon penguin nests (and introverted penguins) in the brush. Once back in town, I surmised that the beauty of Ushuaia is in its phrase of “the end of the world”. 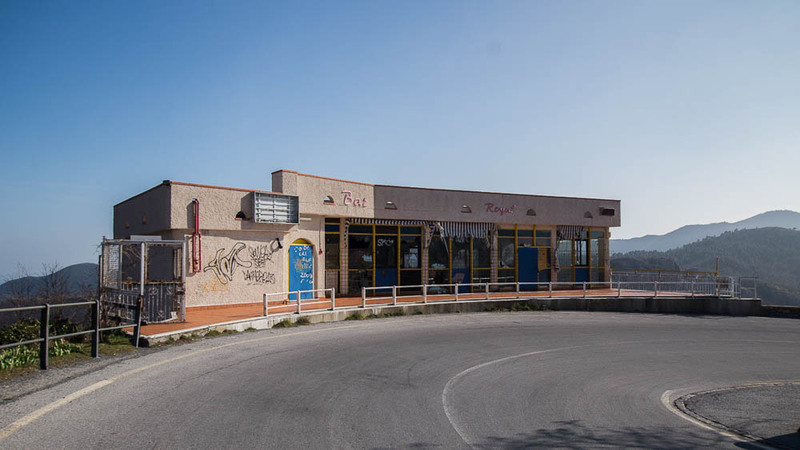 Overused and run-of-the-mill, the expression rings some truth, depicting the desolation of the town – its cold and windy climate doesn’t argue this. It makes you feel as though you are literally standing at the end of the world. While there’s much more to explore in Antarctica, Ushuaia is where civilization stops. 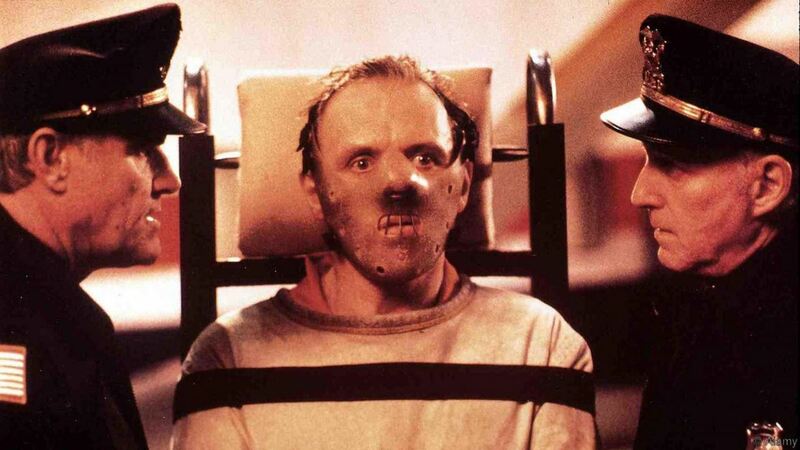 Why would Argentina use it as a colony for its most dangerous criminals if they had somewhere to run to? The land is impenetrable, it conquers humanity rather letting mankind dominate it. It’s not an apocalyptical, World War Z type of “end of the world,” but it’s rather the feeling of standing where only the most daunting of explorers dared to venture before air travel and the GPS were even thought of; the Terra Australis. It’s the point where the “Les Éclaireurs” lighthouse (of course, it’s the lighthouse at the end of the world), stands to let the Atlantic and Pacific Oceans meet. So, it’s no wonder that people flock to Ushuaia, thanks to its rich history, role in Tierra del Fuego tourism development, and the splendour and impressiveness of the region. 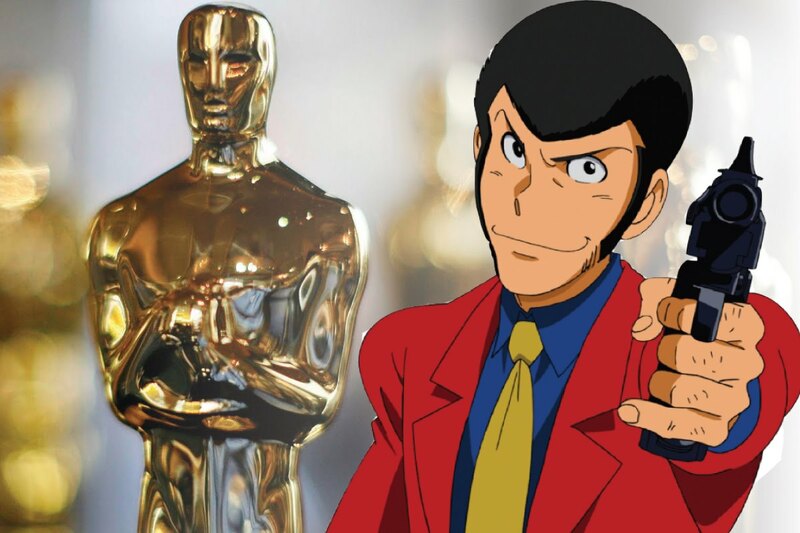 Overall, “end of the world” is well-deserved, the town’s nefarious origins shadowed by its charm. Would I go back to experience the feeling of standing on the edge of the world? Yes. Only this time I would drive down to the world’s final destination. Originally from Florida with French heritage, Marine now lives in Florence, Italy. She will be moving to Scotland later this year to study history. One day she hopes to be able to travel to Asia and Australia (just to name a few places). She is an avid reader, citing "The Bell Jar" and "The Secret History" amongst her favorites. Writing about places she has travelled to is a way for her to remember and reminisce about good moments. 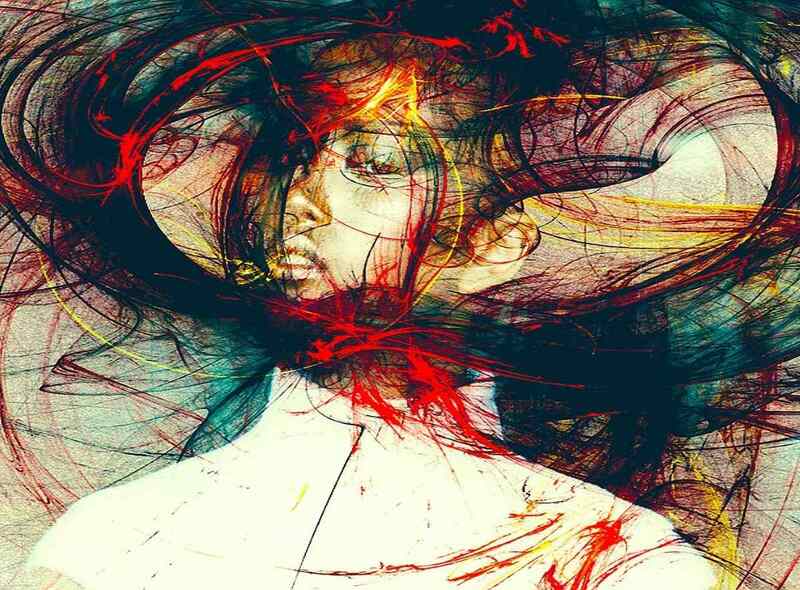 La democrazia è davvero minacciata dagli algoritmi?